When you need experienced roofing contractors to complete a roof installation or repair project at your home in the Kansas City, Missouri, area, turn to Bordner® Installation Group for premium roofing materials and impeccable installation. As an award-winning home improvement company and one of the area’s oldest roofing contractors, we’re dedicated to providing exceptional exterior upgrades and unparalleled customer service. Our commitment to excellence is why we’ve had more than 60,000 satisfied customers since we started in 1987. Asphalt shingles – Our asphalt shingles are built to last a lifetime and are highly resistant to strong winds, heavy rain, and other harsh elements. They come in a range of colors, so you’ll be able to find shingles that will beautifully complement your home’s exterior. Plus, Bordner installs our shingles using our exclusive Fortress Roofing System, a meticulous application designed to improve your roof’s durability. Stone-coated steel – This material combines the strength of structural-grade steel and the aesthetic appeal of traditional roofing products like tiles, shakes, and shingles. Synthetic slate – This material simulates the upscale look of traditional slate tiles, but it doesn’t require the continual maintenance. It’s also 100 percent recyclable and is available in virtually limitless colors. Concrete tile – This type of roofing has a timeless beauty and lasts longer than many other options. When you choose Bordner® over the other roofing contractors in the Kansas City area, you’ll be paired with a project manager who will serve as your point of contact throughout the duration of your roofing project. Unlike some other contractors we emphasize exceptional service, so someone will always be available to answer any questions you have, keeping you informed every step of the way. 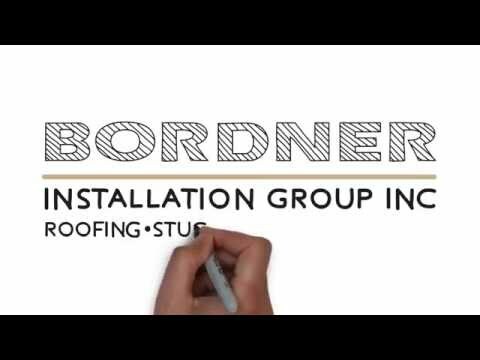 To learn more about Bordner® Installation Group or to schedule a free consultation, please contact our Kansas City, MO, office today. We’ll show you firsthand how we’re restoring people’s faith in roofing contractors, one home at a time.